Card counting is a card strategy many players use to counter the house edge of blackjack and maximise our chances of winning. Combined with the correct application of basic strategy, counting cards is one of the only ways to truly beat the house and confidently go into a game of 21 with a positive expectation. The basic premise of card counting is to determine when we have an advantage over the casino and then exploiting said advantage by making larger bets on those hands. Finding out when we have the advantage is accomplished by memorising each card dealt carefully, and counting their values. 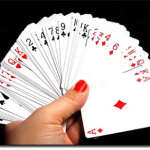 A popular myth regarding card counting is the strategy requires extraordinary mental capability and memorisation of specific cards, mostly attributable to the popular 1988 film, Rain Man and its titular freak-of-nature protagonist. In actuality, card counting doesn’t demand genius-level maths skills. The actual process instead involves assigning a point score to each card we see dealt. This point score gives an estimate of the value of the card, and from here, we track the sum of these values in what’s called a “running count”. The running count is the running total of each card’s assigned value. Every time a card is dealt, the relative number of high and low cards still in the deck can sometimes change by random chance. Sometimes, the first half of a deck can have an abnormal concentration of low cards and more high cards in the second half of the deck. We need to recognise when this happens through accurate card counting and an accurate running count so we can play to its strengths or limitations, accordingly. To use this system properly, we need to be able to count cards (obviously), keep accurate mental track of each one dealt, have a bit of multitasking prowess, and maintain a cool exterior. 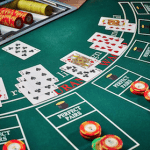 The last two skills are essential because casinos will watch adamantly for players who practice it – they don’t want anyone with a statistical advantage to be playing – and actively prevent us from using it. Contrary to popular belief, card counting is not considered illegal but rather a form of advantage play by casinos. Advantage play or advantage players refers to those who attempt to decrease the inherent casino house edge by tracking all high and low valued cards visible. Most tables are subject to video surveillance so the casino can keep track of any cheating, dealer errors or other problems – but a major priority is to watch out for adept card counters to prevent them from utilising the advantage play too much. The casinos can ask us to leave, but don’t mistake it for being a criminal act: they just hate it when we clean up the tables. Casino venues employ a range of countermeasures to lessen card counters. The most obvious one is making more games use larger decks and using frequent re-shuffles, as the further we play into a single or double-deck game, the easier it is to get a good idea of which cards are about to be dealt and when to exploit such an advantage. Throwing more cards at us or using automatic shufflers and computerised dealers make things ten times harder. Dealers who work faster than usual can also hamper our ability to accurate count cards, and sometimes casino employees even harass us to discourage the practice; watch out if employees on the floor seem to be hovering around you more than usual. If you’re with a partner or you’re using the system solo, make sure you have a good poker face or otherwise don’t make it so obvious you’re practicing the system, at this leads to the infamous black book: if they know you’re a card counter, you’re most likely going to be unable to play in the casino and be banned from life. Basic card counting dictates we must assign a positive, negative, or zero value to each card value in the deck. The count is then adjusted according to whenever a card is dealt and we count that card’s counting value. Low cards (anything below 7) increase the count because they increase the percentage of high cards in the remaining shoe. High cards decrease it for being the opposite. The most basic counting system is called “High-Low” or “Hi-Lo”. We would subtract one for every 10-point card, face card (Jack, Queen, King) or Ace we or the dealer receive, and add one for any card with a value of 2-6. Values of 7-9 are counted with a value of zero, and do not affect the overall count. Assigning point values allows us to roughly correlate to a card’s Effect of Removal (EOR), which means the actual effect of removing a card from play and how it impacts the house advantage. We then examine the EOR of all cards dealt so far and evaluate the current house advantage based on the remaining cards yet to be dealt. Some card systems have larger point ratios between point values, called multilevel counts, to supposedly gain better play accuracy. However, these systems make it harder to play quickly and maintaining a normal level of play while mentally keeping track of cards is necessary to avoid being caught and asked to leave the table. For clarity, we are focusing on the Hi-Low system, which never increases or decreases the count more than a single pre-determined value, which, in turn, makes it the easiest counting system to understand and keep track of. Card counting is based on statistical evidence that high cards (8s, 9s and 10s, face cards and Aces) benefit the player more than the dealer, while the opposite is true for low cards (anything below 7) as it helps the dealer and lessens the player’s chances to win. To run this dedicated playing system, we need to keep an accurate running tally of the relative numbers of different cards that have been played – high cards and low cards – to predict which cards are remaining in the deck. We then bet the minimum amount following basic strategy rules. When the card count is in our favour, we deviate from basic strategy accordingly. We increase our bets, double down, hit, split, or stand all based on the tally rather than rigid basic strategy. This is to exploit the advantages of the changes in the relative probabilities of the cards remaining in the decks as subsequent cards are dealt. For example, if we find ourselves playing a deck with a high concentration of 10s yet to be dealt, we can increase our chances to hit blackjack and win as these cards can help us reach 21 faster and more often. When the shoe has an larger than average concentration of 10s, we can also maximise our profits by doubling down when our count lets us know there’s still plenty of player-friendly cards just waiting to be dealt. When there are heaps of Aces remaining – often called an “Ace rich deck” by many players – it’s also self explanatory: a series of Aces still on the cards means better chances of hitting blackjack with a natural hand or even more chances at winning side bets of insurance. Meanwhile, a large concentration of low cards is bad for us and great for the dealer as lower-valued cards make it harder for us to beat a dealer’s hand and as they always need to hit on a stiff hand of 12 to 16, they’re more likely to reach 21. This reinforces the importance of tracking Aces, 10s and face cards in blackjack and knowing when there are heaps of them, as a dealer with a stiff hand – a six and nine to make 15, for example – will always bust as they need to hit on any hand total of 16 or less while we are, in comparison, are free to either hit or stand. 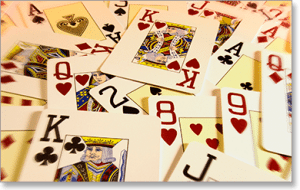 Card counting is an effective system which will work for only the most dedicated players. If you know basic strategy off-by-heart and want to minimise the already low house edge of blackjack even further it is a viable strategy to count cards, but be warned: tons of patience, practice and perseverance is necessary to acquire a decent level of skill. A substantial bankroll is also necessary for the inevitable or unforeseeable losses we may incur during the games. If you don’t have decent memorisation or aren’t a great multitasker, card counting probably isn’t the best way to play considering how fast the game can sometimes go by and how easy it is for casino staff to spot if you’re mentally straining to count every card dealt. It can also be fairly boring for those who just like to enjoy the game, so only consider it depending on your playstyle and personal preferences.